PCMC Jobs Recruitment Notification 2018.Pimpri Chinchwad Municipal Corporation, PCMC inviting applications for the positions of apprentice in draftsman, surveyor, plumber, telegraphist, MLT, Gardener trades.Interested and Eligible candidates can apply for the positions. Total number of apprentice vacancies to be filled in PCMC in various trades is 236. Candidates those who passed 12th standard can apply for MLT post. For remaining posts the qualification is ITI pass in respective trades. Candidates performance will be tested to hire them. Mode of applying for PCMC recruitment is through offline mode. 21st September 2018 is the last date for contenders to send application forms. https://www.pcmcindia.gov.in is the link for individuals to download application form and send to below given address. 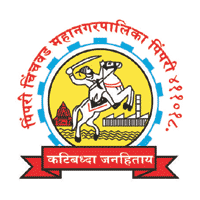 Administration, Pimpri, Chinchwad Municipal Corporation, Pimpri-411018.